The Rode NT1-A Vocal Recording Pack contains everything you need to begin recording professional studio-grade vocals, guitars, piano, percussion and more. Amongst this superb bundle from the Australian audio powerhouse, you get their now legendary NT1-A 1" cardioid condenser microphone, high-quality SM-6 suspension shock mount, 20 feet XLR cable, pop filter and Rode branded dust cover. 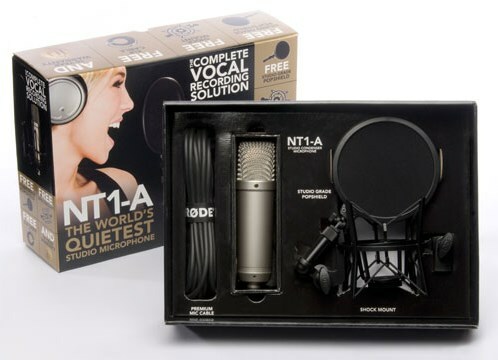 The NT1-A has a solid reputation as one of the best and most adaptable condenser microphones available in its price range. Hailed for its consistency in replicating honest, true-to-source sound with ultra-low noise and a self-noise of just 5dB (A), it's clear to see why Rode refers to the NT1-A as "one of the quietest microphones in the world". The mics wide dynamic and frequency ranges make it ideal for capturing vocals in superb detail, so the unique vocal-attributes of you or your vocalist are captured within every take. The NT1-A's high sensitivity and cardioid polar pattern make it predominantly an excellent vocal microphone, however, it also acts as a superb mic for recording acoustic instruments and can also be rigged up for the overhead capture of drums and various other instruments. Within the Rode NT1-A Vocal Recording Pack, you find the Rode SM-6 suspension shock mount. The shock mount can equip a large range of condenser microphones and is seen by many as one of the best mounts for the job. Thanks to its inventive design the SM6 vastly reduces the effects of handling noise and other external factors that cause vibration to invade your final recording. The rode branded pop shield is an essential piece of kit that reduces the negative effects of plosive and sibilance sounds in your vocal recordings. It can attach directly to the SM6 with two axes of adjustment for precise positioning. Connect your microphone to your audio interface or mixer via the included 20 foot Rode XLR cable and you are ready to go. The Rode NT1-A offers you unparalleled warmth and clarity, an impressive dynamic range and a maximum sound pressure level found rarely on microphones anywhere near this price, a serious consideration for anyone looking to obtain high-quality recordings at home or in the studio. What can you do with the Rode NT1-A Microphone? 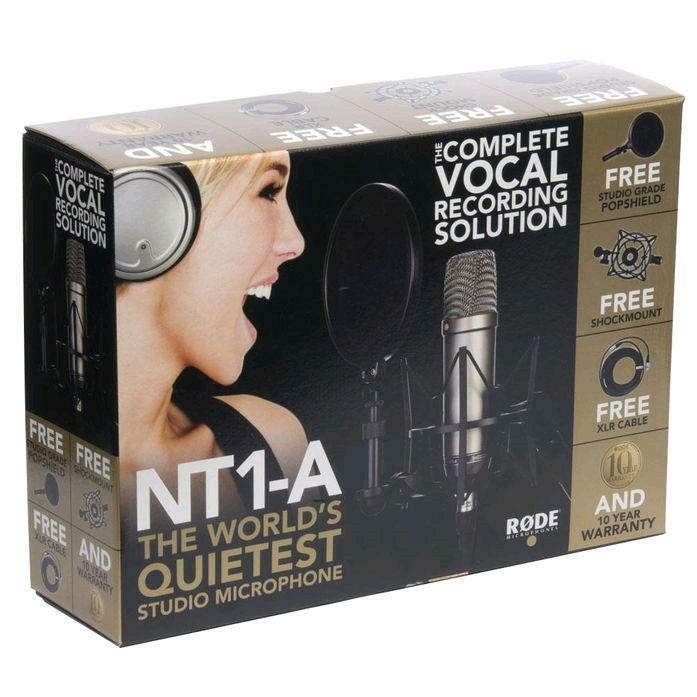 The NT1-A bundle would be an excellent choice if you're looking to record vocals or instruments. 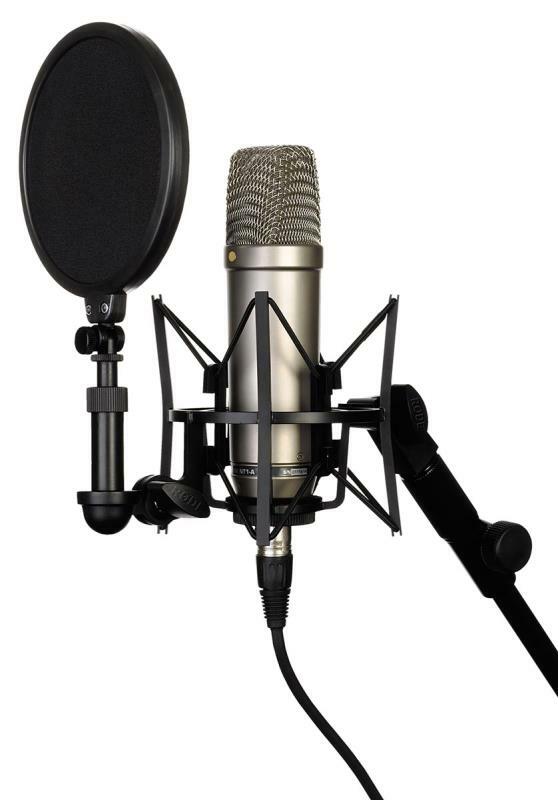 Condenser microphones, like the NT1A, are used in most home and professional studios due to their excellent sound quality. Without going into too much technical detail, the diaphragm in a condenser mic is made of very light and sensitive parts allowing it to follow soundwaves very accurately. When you sing into the mic, you should hear back a very honest and realistic recording. When micing up instruments like acoustic guitars, drums and pianos, it's often best practice to use a condenser microphone. Included in the box you'll find the NT1-A microphone, a pop shield and a shock mount. The pop shield is designed to stop sounds like p's and b's which can often come through as pops and audio spikes, coming through in your recordings. The shock mount is designed to minimise vibrations getting to the microphone's diaphragm through the mic stand. Does the NT1-A need phantom power? Yes, phantom power is required with this microphone and most large diaphragm condenser microphones. Phantom power (+48v) is required to charge certain parts within microphones of this type. GAK Notes - We love the Rode NT1A. 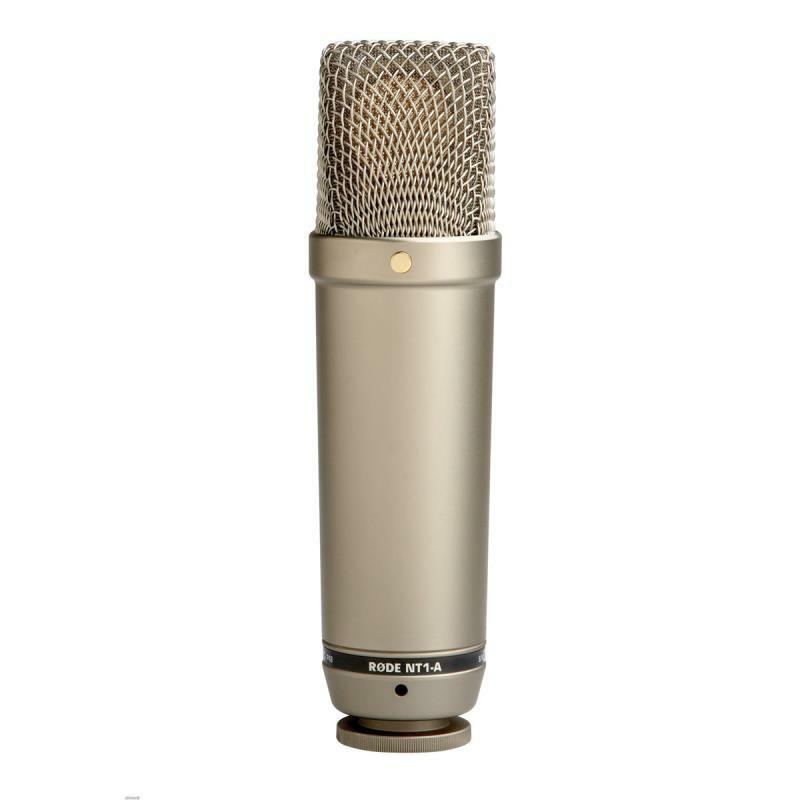 It's by far our most popular selling condenser microphone due to its price point, sound quality and included extras. 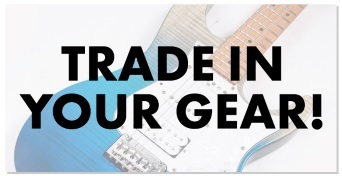 Buying a mic for recording vocals, acoustics and more couldn't be easier with this bundle. All you need to add is a microphone stand and you're away. Where do I place the microphone when recording an acoustic guitar? You can either put it in front of the sound hole or experiment with different positions depending on if you want more sound from the slide of your fingers on the neck or percussive sound from the body. Do I use the pop shield when recording guitar? You don't need to use the pop shield when recording guitar. Would the mic be good for a rapper? To be honest, it will suit all vocalists, we have rappers, classical singers, metal vocalists and more using this microphone with great results. 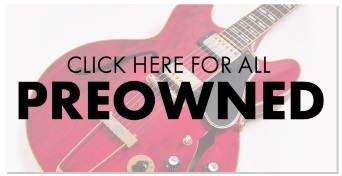 What microphone stand should I buy? We recommend a good quality boom stand with all condenser microphones to ensure stability. You'll be hard-pressed to find a better quality microphone and accessory at the same price as the NT1A bundle. Rode have really hit the nail on the head with this package deal. Check out some Rode NT1-A Soundcloud Clips Below.